Portfolio Categories: 1975 and A.
Steve Adamczyk was born in Chicago, the eldest of four children of the late Stephen and Lottie (nee Kazanecki) Adamczyk. His parents introduced Steve to music at an early age, enrolling him as a student of piano, his first teachers being the Felician Sisters of SS. Peter and Paul Parish. When a school was organized, Steve turned his attention to the saxophone and clarinet. Steve and his wife, Jeanette, were the proud parents of five children: Joyce (Mrs. Steve Fornek), Robert James (Cathy), Marian, and Steven. Over the years, Steve was very active in the activities of his parish church, and served as organist and director of the choir. 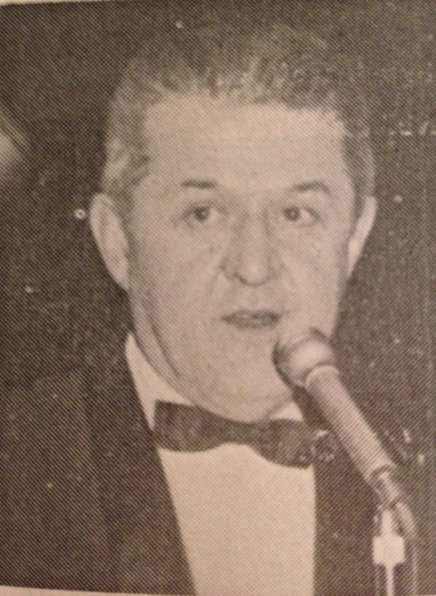 He was a member and past president of the Holy Name Society, a member of the Polish Roman Catholic Union, the Polish National Alliance, and the Knights of Columbus, where he served as choral director. He was an avid sports fan and, as a participant, he enjoyed bowling and golf. Steve’s death was mourned by his many fans.